The Angel of the north is a Michelin starred restaurant, Stonehenge is in Hampshire and Land’s End is a kingdom in the TV series Game of Thrones, according to a poll of Brits. Researchers found more than one in ten Brits admitted their geographical knowledge of the UK was poor – with 30 percent of adults saying they have no idea where Stonehenge is. A further 4 percent thought, Antony Gormley’s contemporary sculpture, the Angel of the North was a fine dining restaurant in Newcastle or Cheryl Tweedy’s nickname. 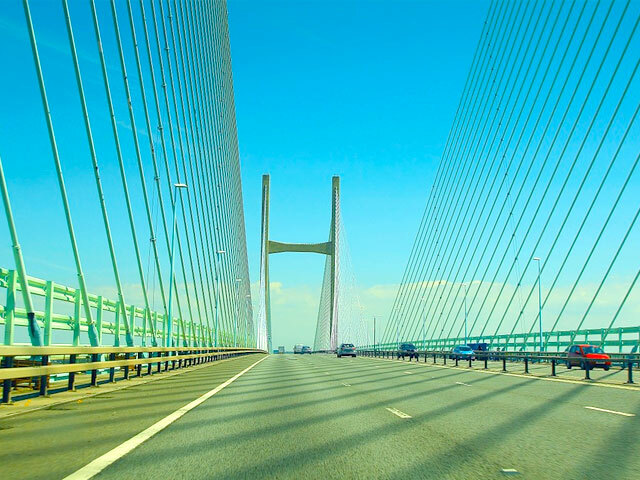 Shockingly, as many as one in five (20 percent) didn’t know the Severn Bridge connected England and Wales – with a confused one in twenty (7 percent) thinking it bridged the gap between Glasgow and Edinburgh. More than one in ten didn’t know Lands’ End was in Cornwall – with nearly one in twenty (4 percent) believing it was a place in the hit show Game of Thrones. And 10 percent of Brits thought that Pudding Lane was where the Beatles recorded their first album – rather than the location of Thomas Farriner’s bakery where the Great fire of London started in 1666. 28 percent didn’t know the Eccles cake originated in Manchester with 13 percent thinking it came from Beccles in Suffolk. Some Brits even suggested the Queen sometimes resides in Downton Abbey, according to the research from Marriott Hotels. In their defence, one in five of the 1,500 adults polled said they holiday abroad more than they do in the UK so they have a much greater knowledge of other countries than they do of their own. A further one in ten believe their knowledge of the rest of the world is better because they have spent years reading travel books and watching foreign movies. And 12 percent claim to have family and friends spread all over the world and are used to globetrotting to keep in touch. The study found that three in ten UK adults has never visited Big Ben, six in ten have never been to the Eden project in Cornwall and 44 percent have yet to visit Wembley stadium. And 39 percent of respondents haven’t even visited the London Eye, the poll found. “It’s understandable that many Brits feel more acquainted with popular overseas holiday destinations than they do with their own homeland. The poll revealed that 35 percent of Brits who opted to go abroad on holiday this year, did so to guarantee hot weather and 21 percent said staying in the UK doesn’t feel like a proper holiday. However – next year two thirds of Brits intend to go on a least one staycation – with Cornwall, Scotland, Wales and Devon among the most popular destinations to visit.